My finished model of Arvo Brothers Alien Project, their latest instruction book. At 51cm tall, this is not going to be a desktop buddy. Looks awesome and some very nice shaping techniques and SNOT used by the Arvo Brothers. Sorry the tail is slightly bent, my bad and nothing to do with the design…I think I just bent it lifting her off the shelf as my cat was very, very interested in her and seemed intent on tripping me up! 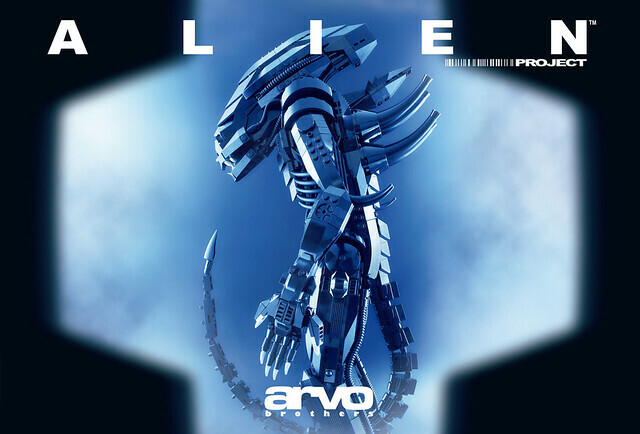 Categories: Instructions, MOC, REVIEW | Tags: alien, Alien Project, Arvo Brothers, MOC, Sci-fi | Permalink.